New Delhi : Instagram, a popular photo-video sharing social networking platform has come up with a new update. 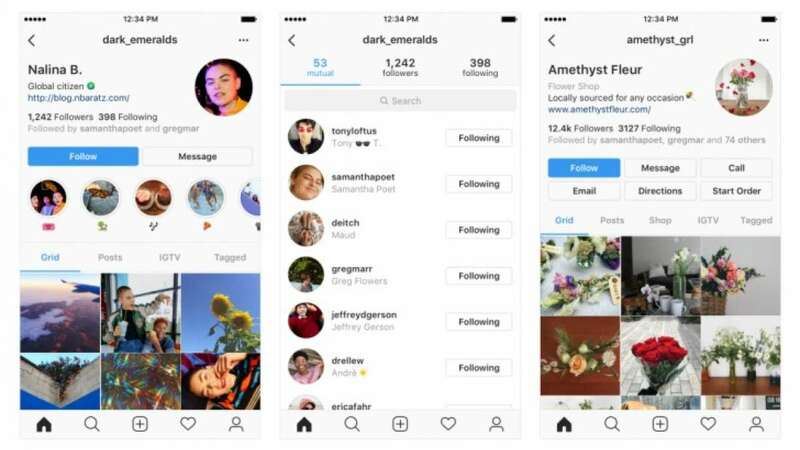 Now, Instagram users can enjoy a new interface which is free from some icons on profiles and replaces them with literal text. Instead, the icons are properly labelled with text, which should make them much clearer to those users who might not know what the tab icons mean. Instagram engineers aims to make its app easier and clearer to navigate for its users. The new design shifts around the appearance of profiles. The profile icon is now on the right and follower count is no longer at the very top. Otherwise, Instagram is phasing out the post count from the profile view. The description is also placed directly to the left of the profile icon. Now, users will find a different profile look. Instead of showing mutuals at the top of a profile’s followers list, there’s now a dedicated tab for mutual friends, all other followers, and a list of accounts followed by that profile. However, this is not the final design. The testing of layout is still going on. It is advisable to check the website regularly to understand the change of things around. Well, some users have already witnessed the changes. Are you among them?